Lack of competition in the desktop segment, Microsoft being an old dinosaur held the world hostage to old obsolete technologies, as it was repulsive to any innovation in the desktop. You can't pick a single revolutionary innovation in the desktop computing in the last 2 decades. 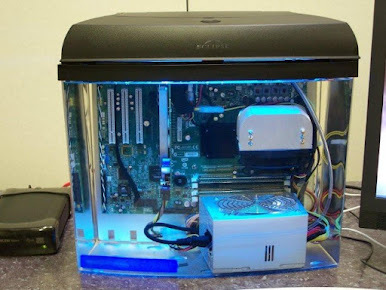 I consider Windows XP - Windows 8 era to be dark ages for innovation in the desktop PC segment. Beyond new hardware requirement (which was mostly more RAM) Microsoft never introduced any ground breaking innovation in the desktop segment. It was Apple which continued to borrow (or in Steve Job's terms steal) ideas from others and kept improving Mac OX. Mac OS undoubtedly was far more advanced and polished desktop OS when compared with Windows. Apple did the same thing with the mobile space which was held back by another dinosaur Nokia (and Microsoft). Apple came and shook the mobile segment by borrowing ideas from different players and packing them together. Apple had the loyal consumer base which would throw money on anything Apple logo on it and US being its core market, the purchasing power or Americans was much higher than the rest of the world and iPhone became a huge success, same happened with iPad. Microsoft, despite having introduced the concept of tablet PC, failed to innovate. Apple's iOS become one of the most advanced operating system when compared with the likes of Symbian or RIM's own OS. Apple needed a UNIX player to beat then in their own game and then came Google with Linux-based Android. It started off slow but has recently exploded with revolutionary innovation in the mobile segment. Today Android is undoubtedly a far more advanced and 'useful' mobile operating system when compared with iOS. Android has done something which Microsoft couldn't do in decades - to create a better products. Their products are always mediocre. It was Android 4.x which bypassed iOS and eventually Apple was forced to borrow (oops in Mr Jobs' terms steal) some features from Android. Google just announced the latest version of Android which is still called Jelly Bean which has set new standards for mobile operating systems which both Apple and dino Microsoft are left to copy/imitate. Google is setting new standards for mobile OS with Android 4.2 and here is a glimpse of how Android 4.2 is the most advanced mobile OS in the world and not iOS. iOS 6 stole the concept of panoramic images from Android 4.1, but instead of claiming any patents or suing Apple Google did what an ideal company would do - they upped the bar. Android 4.2 now features sphere camera. Unlike panoramic shooting, Sphere Camera allows you to not only go left or right but also up and down. Android 4.2 allows you to "snap pictures in every direction that come together into incredible, immersive photo spheres that put you right inside the scene." It's more like being there in 3D. Android 4.2 features Gesture Typing "just glide your finger over the letters you want to type, and lift after each word. You don’t have to worry about spaces because they’re added automatically for you." Since the keyboard can anticipate the next word you don't have to type the entire word and just select from the options. It has better dictionary which makes it more accurate. The voice typing has also improved manifold so you can compose entire content just by voice and since its works offline as well you don't need to worry about the Internet connection for voice typing. Google has introduced a unique (to mobile devices) concept with Android 4.2 - support for multiple accounts. So, now you can let your kids your your tablet without worrying about them accessing your data or getting access to your apps. How about you and your wife wants to read 'your' Kindle eBooks (I am not a supporter of DRMed work) from the same tablet? Android's mutiple user account allows just that. Now, anyone can use the same tablet, log into their account and access their Google Play Content and apps. "Everyone can have their own homescreen, background, widgets, apps and games – even individual high scores and levels! And since Android is built with multitasking at its core, it’s a snap to switch between users – no need to log in and out. Available only on tablets." Sharing is what makes us human, no matter what incompetent movie or music industry tell you. Android 4.2 has taken a big leap (and this feature was there in iPad) and now allows user to share YouTube videos or anything else playing on your tablet screens on an HDTV. It needs a wireless display adapter connected to any HDMI-enabled TV to mirror what’s on your screen quickly and easily. Now you can have active 'screensaver' (not technically screeensaver) for your Android devices when they are idle. DayDream enables your Android device to display information such as photo albums or news when idle or docked. Android 4.2 has enhanced the features that Android users take for granted which iOS users can only dream of - it has now better notifications system. Something very important for such mobile devices as you don't have to get out of an app to check such notifications. Now you can take an action directly from the notification dropdown. Google is a search expert (its ironic that Apple sued Google for unified search used in Android 4.0 and Google was later forced to remove it.) and the search functionality has improved in Android 4.2 and it's voice search makes Siri look like a cheap talking toy. Google search, just like Android 4.1 "speaks back to you and is powered by the Knowledge Graph, bringing you a precise answer if it knows it, and precisely ranked search results, so you can always find out more." Other notable features include Google Now, which allows you to plan your outing, Beam which allows you to share content just by tapping phones, magical Widgets and much more. Looking at all these feature, I don't think Apple's aging and boring iOS holds the title of the world's most advanced mobile operating system. The title now belongs to Android. Apple will you please hand it over to Google, without dragging them to court for some tiny rounded corner? There is some real innovation happening here, beyond rounded corners and slide to unlock.